As national stories about police relations continue to make the headlines, Boulder City Police Chief Bill Conger wants to make sure his department earns the trust of the community. Conger, who spent nearly 30 years with Las Vegas’ Metropolitan Police Department, said building relationships with the community that his officers protect is very important to keeping everyone safe. 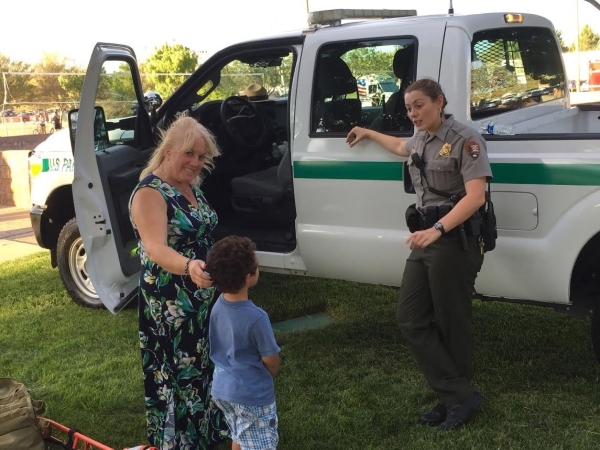 And during Tuesday’s National Night Out celebration at Veterans’ Memorial Park, Conger was glad to see the interactions taking place, especially with the children. 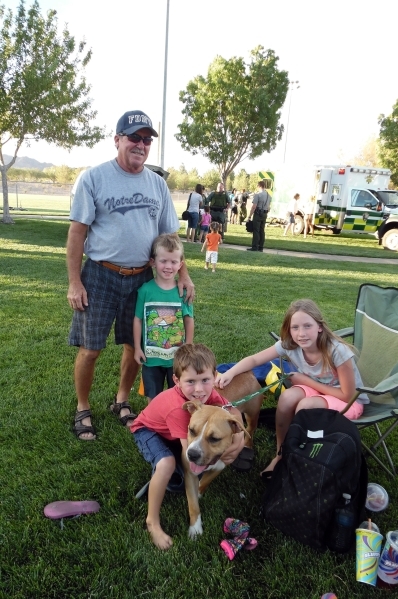 National Night Out, an annual event where police departments across the country spend a designated evening getting to know their citizens, has only gotten bigger in Boulder City, Conger said. 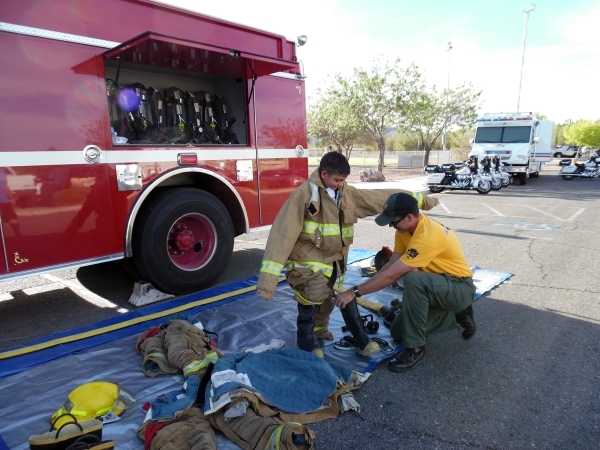 Kids of all ages got to talk to members of the Boulder Police Department and the Boulder City Fire Department, as well as representatives from several law enforcement agencies across the Las Vegas Valley, including the National Park Service, Henderson Police, Hoover Dam Police, and SWAT. Terri Beaver brought her 4-year-old grandson, Tony Klein, to his first National Night Out because of his love for policemen and firemen. Beaver is glad her grandson has such admiration for the local authorities, as it will be more beneficial to him in the future, she said. 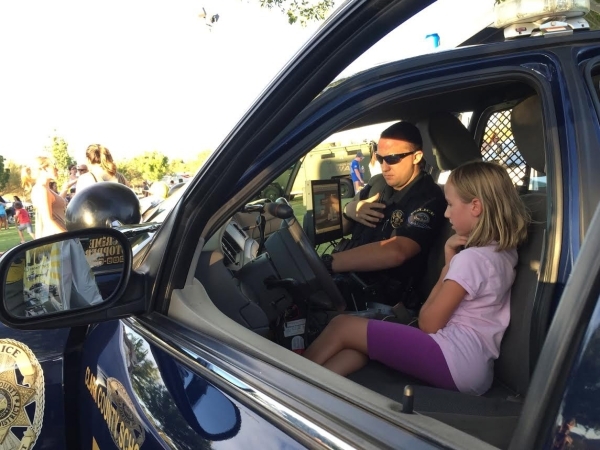 Michelle Peterson brought her 8-year-old daughter, Valerie Peterson, to National Night Out for an evening of family fun, as well as a way to make sure her daughter knows who to call in case of an emergency. Valerie sat inside a Clark County School District Police car and learned how to work the siren, as well as how to make a call into dispatch. She left with a smile on her face, something her mother was happy to see. According to a January poll from Reuters, about 53 percent of Americans trust the police, while 27 percent claimed them to be unjust. About 20 percent were unsure of how they felt. CCSD Police officer Kirk Homer, who showed Valerie the ins and the outs of his police car, said it’s important for kids to know that the officers are there to help them, not hurt them. 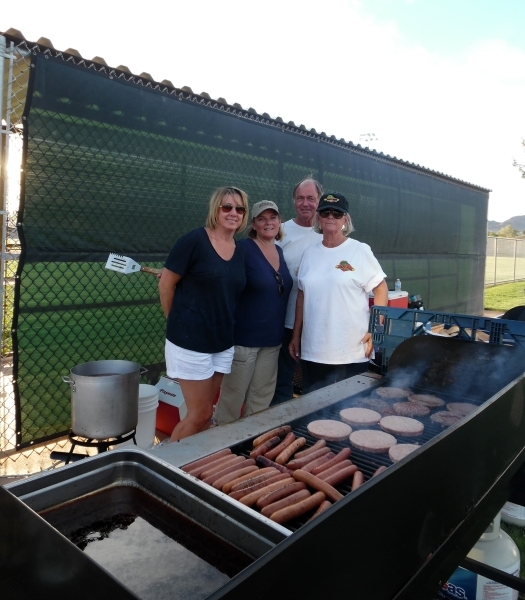 Nearly 2,000 people flocked to Veterans’ Memorial Park on Tuesday night, something Conger never saw during a National Night Out in Las Vegas. To him, the higher turnout means the message is getting through. 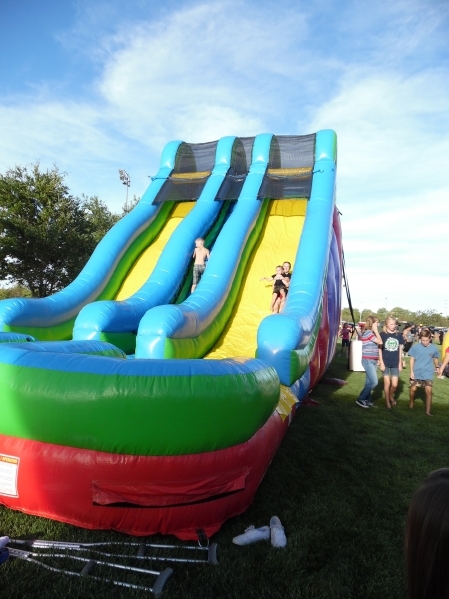 Among the evening’s highlights were the annual police vs. fire department softball game (which the police department won 15-5), activities for children such as a climbing wall and water slide, and K-9 demonstration from National Park Service rangers Todd Austin and his Dutch shepherd Cinna and Wes Houk and his Belgian Malinois Kelly.